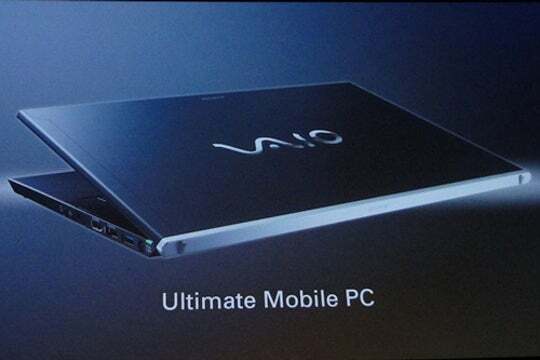 Hot on the heels of announcing two Android tablets, Sony has given us a sneak peek at two interesting Vaio systems: one is a touchscreen tablet/laptop slider dubbed the "Freestyle Hybrid PC" and the other is an ultra-thin "Ultimate Mobile PC." Sony hasn't officially revealed specs for the upcoming devices, but we can tell a few things from the photos. The Freestyle Hybrid PC will have a keyboard that slides out from underneath the touchscreen, transitioning from tablet to laptop mode, much like the Samsung Slider PC 7 previewed at CES this year. 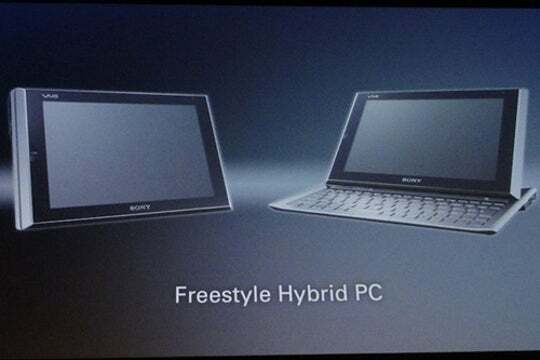 Endgadget is speculating that the Freestyle Hybrid PC may be the rumored 9.4-inch Windows 7 tablet Sony was working on, possibly set to launch in the fall for $799. Sony's keeping mum on this, so we'll have to wait to see. As for the Ultimate Mobile PC, the photo really only shows its ultraportable form factor -- yet another windows alternative to Apple's MacBook Air, possibly -- and some ports on the side. The laptop will continue to uphold the sleek styling of the Vaio line. Expect Sony to reveal more about these teasers in the next month or so.